Alex studied Music at Royal Holloway, University of London, specialising in composition and then went on to complete a Masters in Composition for Film and Television at the University of Bristol. He has written for a range of different media including theatre, film and documentaries. His style ranges from striking melodic themes to dense atmospheric soundscapes and from full orchestral pieces to subtle piano themes. His interest in ethnic instruments, particularly flutes of which he owns around 30 from different parts of the world (and which often find their way into his soundtracks), infuse his music with a unique voice. His client base includes wildlife organisations WWT for which he scored a promotional film featuring BBC presenter Kate Humble and Sir David Attenborough, and ZSL London Zoo who he worked with on a BBC award-winning documentary. He has worked on many corporate films including a Panasonic TV promo and a recruitment video for nationwide cafe chain Boston Tea Party, as well as scoring numerous other media productions. Alex is the in-house composer of London-based theatre company Encompass Productions and has received critical acclaim for his work with them, most recently for their 4-star rated sci-fi drama Stasis. He writes for the production libraries DeQoY Music, and the highly renowned Felt Music who have provided music for such shows as The Apprentice, Masterchef and Restaurant Wars. Alex produced the score for Medieval Fantasy TV series 9Realms and has worked on a number of different web series. 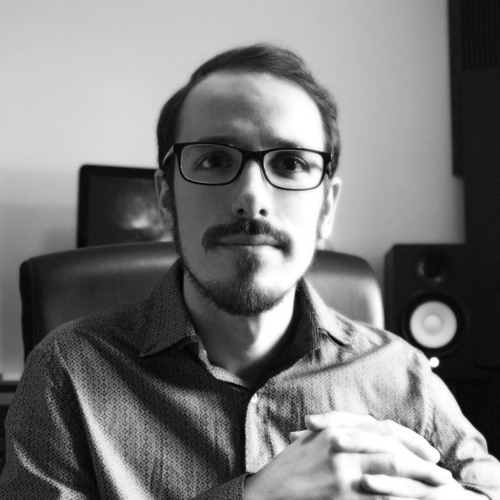 Alex's music was featured at EGX 2014 and as audio lead of indie game company Big Cake Games Alex oversees all aspects of audio production as well as contributing to the game soundtracks himself. He is currently working on the score for 2D platform adventure Cold Horizon which is due for release on PC/PS4. For more information see Alex's website. @das-17: Very kind of you to say so and thanks for listening! @tim-dobbelaere: Thanks for the kind words! @bachianer: Mostly every piece that I've uploaded is written for media so I am always limited to the length of the visuals. Still, thank you for wanting to hear more!